Take the Washington Post, for example, whose editors have over time staked out their reasoned opposition to the landmark Citizens United decision. That decision, the latest big one in campaign finance law, permitted unlimited donations by individuals for the sake of independent political expenditures, which have since proliferated. It also freed businesses to spend directly on such expenditures, but this, contrary to advance scaremongering and current perceptions, has never really taken off. In its recent eulogy of Justice Anthony Kennedy, the Post’s editors referred to Citizens United as “the court’s ill-considered creation of corporate free-speech rights in political donations.” In 2016, they lamented the state of money in politics, arguing that the creation of the super PAC and its unlimited individual donations was creating an “oligarchy” of political participation and had “the potential to warp the political system .” Given that the majority opinion in Citizens United presupposed some regimen for the disclosure of political spending, the Post’s editors have also argued for a measure to require donor disclosure by nonprofit organizations that run issue ads during election season. “ What, exactly, is the problem with transparency ?” they ask. Except, it really isn’t. For, at the moment, the Washington Post Company is in court challenging a Maryland campaign finance law. The law imposes heavy disclosure rules for online political ads. Not only does it demand robust disclosure messages like those required on television, but it also forces newspapers themselves to furnish and constantly update information about ad buyers. 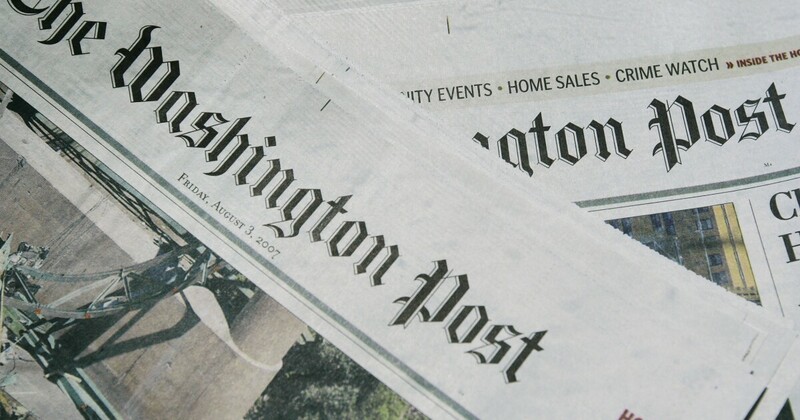 The Washington Post’s attorneys argue that this state law violates the First Amendment by compelling news websites to publish what they would rather not.